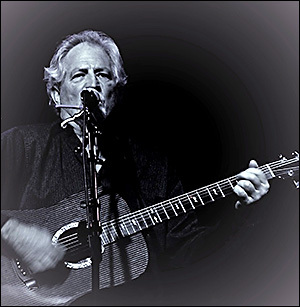 Nashville based singer songwriter Bob Rea’s beautifully written songs move with the same delightfully adventurous wanderlust and incisive lyrical grit found in the great works by the likes of Johnny Cash, Guy Clark, Leonard Cohen and Steve Earle, but are built on their own unique, and impressively solid, musical foundation. Deeply rooted in americana, Rea’s extraordinary gift for melody and lyrics take his latest release, “Southbound”, to thrilling new places. Etched with universal truths and tinges of humor, there’s a strength and familiarity in “Southbound’s” tracks that can only come from the kind of craftsmanship that’s honed through years of work, not to mention an abiding love of that work. 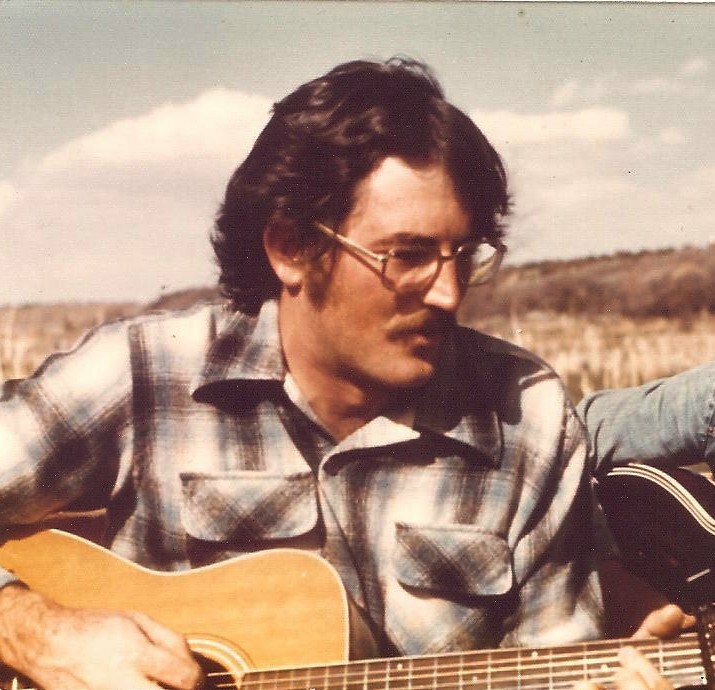 Born in southwest Colorado, Bob Rea began writing songs as a teenager, while also working on the family’s farm. Turns as a cattle rancher, bar band musician and log home builder rarely stirred the same internal passions as songwriting would for Rea, whose natural affinity for colorful language is one of “Southbound’s” most immediate, ear catching qualities. Of a generation to whom Vietnam was not just daily news but a very real possibility for an uncertain future, Rea’s “Vietnam” is one of the album’s most affecting, lump in the throat offerings, a true to life meditation from the point of view of Rea and a number of his friends. “That’s my era, when I was a kid”, he says “I was trying to explain to my co-writer, Kate Graves, how messed up, and normal at the same time, things seemed then. I just started to remember things that happened to me or my friends and we ended up with this song. But people, as Americans will do, we just lived with it made the best of it. It affects us still”. Another of the key tracks on the album is “Soldier On”, which kicks off with a distinctive banjo riff played by co-writer Stephen Daly. “It pretty much seems to be a mindset of the entire World”, says Rea of the song’s march between the lines of right and wrong. “People get in this role and it doesn’t matter to them where they go, they’re just doing what they think they have to do”, he notes. “Everybody falls in line and it seems like it’s been that way through recorded history. But by the same token we all must soldier on for our own distinction”. 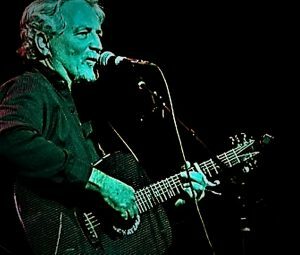 In addition to the more somber, reflective tunes on “Southbound”, highlights include the lighter, John Prine-esque “Screw Cincinnati”, the melodic and rollicking “The Highway Never Cries”, the sparkling “Wanna Do” and electrified rocker “The Law”, lamenting the collapse of the core of human decency. “I wrote that song maybe 20 years ago. I recorded it on ‘Black Highway’, the 1st album I recorded in Nashville and it was nominated by Lord Litter in Berlin for Song Of The Year”, Rea recalls with a laugh. “We were still sorting songs that fit into the overall theme and I thought, you know, we really should resurrect that song. And also 2 decades go by and if anything, the song maybe means more now than it did then. We took a different approach with this version, tried to open it up a little and just get more power to it. Anyway, I think it’s pretty powerful. It’s probably the closest thing to a protest song, and the ultimate statement for being southbound”. The rambling road to Rea’s “Southbound” began with his previous album, 2011’s “Ragged Choir” which featured steel guitar player Mike Daly. About 4 years later, Rea ran into Daly and his son, musician Steve Daly, at a Malcolm Holcombe show in Nashville. “Steve was just quitting playing with the Dirt Drifters, they broke up, and he was just thinking he ought to get into Writing”, he recalls. “We started writing together over a period of 2 or 3 years and I had a lot of songs that I wanted to do something with. I asked him if he’d produce them because I’d heard some of the stuff he’d done for the Dirt Drifters and a couple of other people, and I liked the approach he was taking. Finally, I had a little bit of money saved up, and I said let’s do 5 or 6 songs to get started, because I felt like if I didn’t get started, I would just give up”. 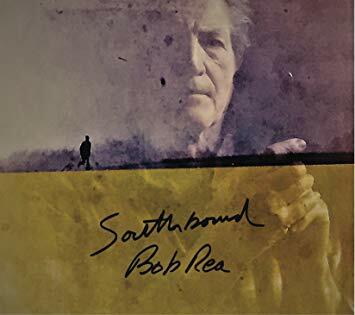 With a band that included Mike Webb from Poco, Mile Daly from Hank Williams Jr’s band and Dan Eubanks from bluegrass group Special Consensus, Rea and Daly recorded the 1st 5 “Southbound” tracks in a 2 day session at Nashville’s Club Roar studios. Another 5 were recorded months later, then one more tracking session followed a few months after that. “I don’t necessarily recommend that approach, but it was really the only way I could do it”, Rea muses of the lengthy process. “I’d have to stop and figure out how to come up with some money to do some more”. “Southbound” was chosen as the title, and title cut, because, like the word itself, the album’s exquisitely crafted songs reflect a variety of true life circumstances and emotions, Rea’s keen creative instincts have laid the groundwork for a collection of songs that are strikingly original and built to last. Ranzel X Kendrick (USA)	“Deathwish”..Adrian Blacka..novo izdanje..dostupno od 2.aprila 2019!